Alhambra California is not immune to foreclosures. Unfortunately, some home owners are unable to hold on to their homes. These houses then go through the foreclosure process and end up on the Auction block. If an investor does not purchase these properties, the bank that usually holds the first trust deed buys it back and the house officially becomes Real Estate Owned or an REO. Sometimes, these homes need some fixing up to make presentable for sale on the real estate market. Once done, they are listed with a real estate agent and become what most know as foreclosure sales. Even though available Alhambra foreclosure property is very limited, you can still find some in various price ranges. Most homes will fall into the $300,000 to $500,000 category. Below is a list of all currently available Alhambra foreclosures. My team is here to assist you when you're ready to buy. 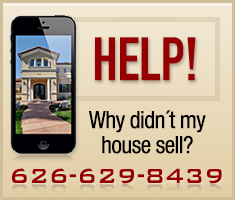 Call us at 626-629-8439 for information on any of these homes in Alhambra or the general Pasadena area.